He has also played piano for most of his life, and was instantly captivated by the psychedelic music he heard at dance parties in the late 90's, and began to try his hand at putting some together himself. Since then Felix never looked back, and he is now one of the most prominent and sought after electronic music performers in Australia. 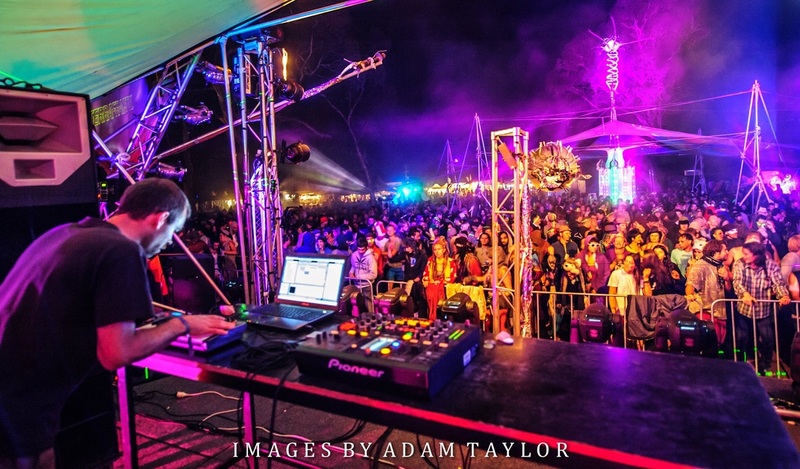 He has performed at all of the major festivals in Australia, including Rainbow Serpent festival, Tribeadelic, Cairns Winter solstice, Dragon Dreaming Festival etc etc .and has been in constant demand for the past 3 years all around the country to play at parties of all shapes and sizes. Most recently Felix played at festivals for Vertigo records in Russia and Ukraine, and is soon leaving for a tour of India and South Africa. His Debut album was released on Sundance Records in April last year and He has released tracks on compilations for 5 labels around the world including Sundance, Vertigo, Adapted, Regen, and Psynuematix records. He also has upcoming releases on Psylife Music, Sundance and Up records. Recently Felix released a full length downbeat album Mental Extensions 'Inner Reality' and 2 IDM EP's 'Dreaming in Pieces' and 'Gyroscopic Bebop', all on UP records, under the monika Hypnagog. Currently he is hard at work finishing the Second Terrafractyl Album 'Electronic Evolution' to be released soon on Vertigo Records.